The Volk Racing TE37 by Rays Engineering are one of the quintessential jdm wheels for motorsport. The Volk Racing TE37 features lightweight forged construction and a simple and recognizable 6 spoke design. 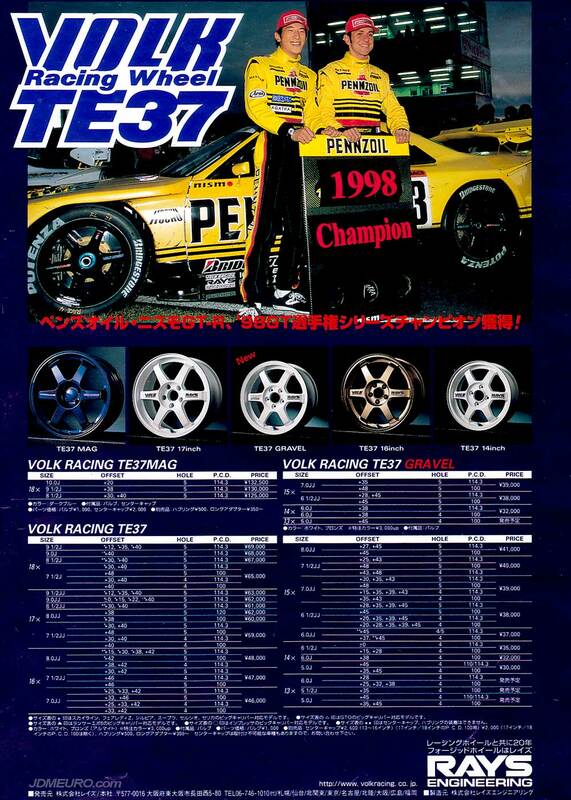 Special versions of the Volk Racing TE37 at the time, were the Volk Racing TE37 MAG, which was made from Magnesium as opposed of aluminum and featured the famous MAG Blue finish. Also was the rally version called the Volk Racing TE37 GRAVEL which was a beefed up version. Pictured, are a special Center Lock TE37 on a Nissan Skyline GTR R34 Race Car. The TE in TE37 stands for Touring Evolution.